There's all kinds of ways we can practice environmental stewardship in Manhattan, one of which is caring for the small plots of soil and plant life we do have peppering our paved city streets. 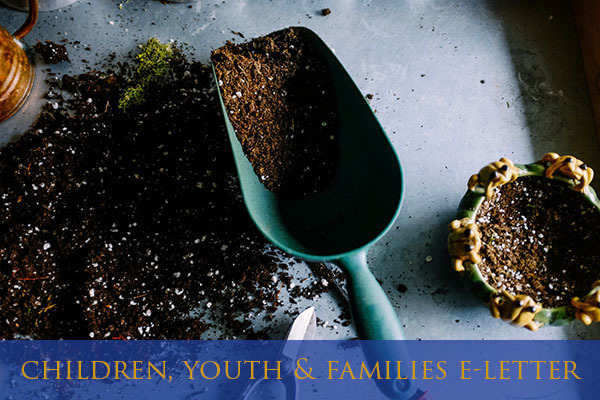 Join us this Sunday from 2:30-4pm for a family program about environmental stewardship that includes planting chrysanthemums and tulip bulbs outside our building on 93rd Street! This project will nourish the hard, dry soil that is currently home to 3 trees alongside our building. It will also beautify our corner when the tulip bulbs bloom in the spring. What's even more, this is a chance for kids to learn about caring for the earth right here at home. Parents, teens, children and toddlers can each have role in this project; but in particular we'll need our older members to dig up some old pavers, and our youngest to place our tulip bulbs into the new planter. Can your family help? Reply to this email to let me know. RSVPs (even "maybes") are always appreciated. Looking forward to learning and working with some of you this Sunday. p.s. We have a Congregational Lunch hosted by our Latino community just before this event from 1:45-2:15, so you have the BONUS opportunity to get lunch and connect with our Spanish-language worshiping community before this program starts.